Similar to How Many Knights on a Chess Board? however speedy knights move the way the knight moves, then the way the knight moves AGAIN. However they cannot backtrack to their starting position. How many can you place on a board so to as none are being threatened. I managed to fit 12 speedy knights onto the board. These 12 attack every other square on the board, so I think it's unlikely that more than 12 will fit. Let me know if this is what you meant. First, let's agree to call a move of form $(a, b)$ a move that is $a$ vertical steps and $b$ horizontal steps, or vice-versa. 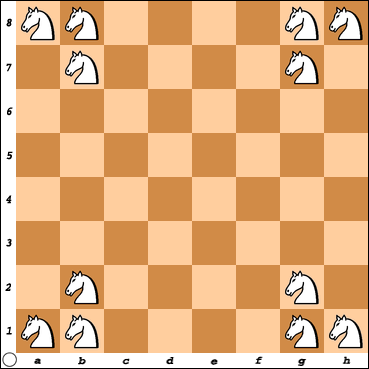 So, for example, a standard knight move is $(2, 1)$. 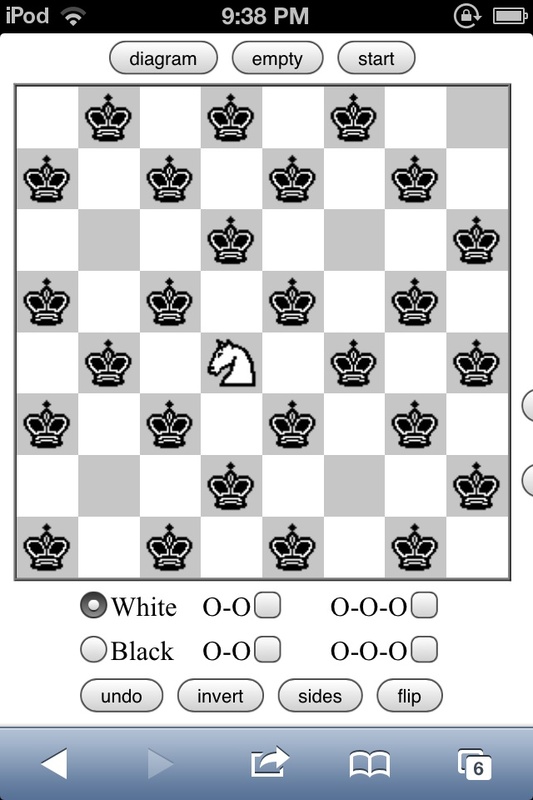 Step 1: Notice that a speedy knight can make all moves $$(2, 0), (2, 2), (3, 1), (3, 3), (4, 0), (4, 2),$$ anywhere on the board. Also, a speedy knight can make any move $$(1, 1)$$ unless one endpoint of the move is in the corner -- I'll call this the corner exception. In other words, if a move $(a, b)$ has $a$ and $b$ at most $4$, and same parity, then it is legal unless it is $(2, 2)$, $(4, 4)$ or the corner exception. Step 2: By symmetry it's enough to show that there can be at most $3$ knights on light-colored squares in the bottom half of the board. (Notice light- and dark- colored squares don't interact.) Let's agree to number the columns 1 through 8. 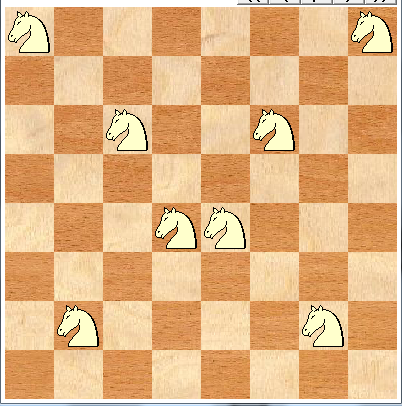 Step 3: Consider two knights on light-colored squares in the bottom half of the board. The vertical distance between them is at most 3. I claim the horizontal distance between them can't be 0 (same column), 1 (adjacent columns), 3, or 4, except for the corner exception. For example if the horizontal distance was 3 then it would either be a $(3, 1)$-move or a $(3, 3)$-move between them, and either way they are attacking each other. The other cases are easy to check. Step 5: We're almost done! Notice there can be at most: -one knight in columns 1, 2, 5 -one knight in columns 3, 6, 7 -one knight in columns 4, 8. Hence, at most three knights total. The proof is complete. How Many Knights on a Chess Board?